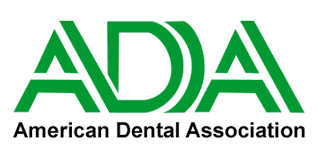 American Association of Dental Maxillofacial Radiographic Technicians, Board member. Dr. Bateman graduated from the University of Nevada, Las Vegas in 1997 with a bachelor’s degree in Cell & Molecular Biology. He continued his education at the Oregon Health & Sciences University, where he earned his graduate degree from the School of Dentistry in 2002. Dr. Bateman completed his advanced education in General Dentistry in 2003 at Audie L. Murphy VA Memorial Hospital in San Antonio, Texas. In this program, he received advanced anesthesia, surgical and prosthetic training. After his residency, Dr. Bateman completed hundreds of hours of CE advanced surgical and prosthetic training, including having graduated from the prestigious Kois Center in 2007. 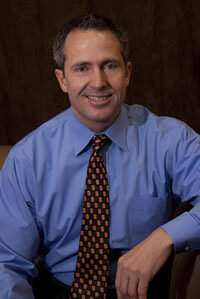 In addition to owning this dental practice, Dr. Bateman founded Head & Neck Imaging, NW in Salem Oregon in 2006. In addition to practicing an insightful yet practical dentistry, Dr. Bateman has also gathered a knowledgeable and thoughtful staff for dental care. Together, they make a welcoming team that inspires confidence in my visits to the dentist, from his own expertise to the approach and knowledge of our hygienist, and all the rest of the office technicians. I've been especially appreciative toward Dr. Bateman's approach to my implant process to replace a "beyond repair" tooth with a permanent "fix." "I have been a patient of Dr. Bateman since he began his practice in Salem. Every time I enter the office I am welcomed by friendly office staff and assistants. I find Dr. Bateman thoughtful, knowledgeable and a straight forward when it comes to needed services. I am confident in his work. 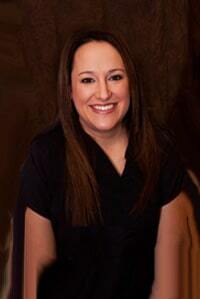 The dental hygienist is thorough and educates on good dental hygiene and tooth care. These positive comments are an indication of the great care that I receive since I really don't like going to the dentist." "Dr. Bateman and his staff are AWESOME! They are very friendly, professional and welcoming. I can not say I enjoy getting dental work done but Dr. Bateman and his staff sure make it more pleasurable. I hope you know how pleased I am with the outstanding services you and your staff provide. I am very happy with the end results. I am one happy client. Thank you again for taking such great care of me. I can not say enough about Dr. Bateman and his staff." "Dr. Bateman and his staff have been great to work with. I never thought I would need to have implants put in at the age of 30. It was all a bit overwhelming at first, but Dr. Bateman worked to make sure that everything was perfect. It’s just like having my own teeth. I also love the fact that my whole family can have their dental needs taken care of in one office. I can schedule the kids on the same day and make one trip. Dr. Bateman's office is so kid friendly – my kids actually ask me when their next dental visit is and it is a highlight for them when they get to go and have their teeth cleaned." "I finished a long period of restorative therapy and all through it, I was treated kindly and gently. I recommend to anyone who has any fear of dentists to go to Dr. Bateman and his staff. They are professionals who treat you well!" "Thank you from the heart! Thanks for your special kindness, friendly attitudes, harmonious relationships that make each patient feel they are your only one. I appreciate the attention I got from each of you. Keep up the great rapport. A very satisfied patient." At Dr. Bateman’s office, we care about your complete dental wellness. We are committed to helping you maintain all areas of your oral health. This is accomplished with regular dental checkups and treatment as necessary. Whether old or young, we provide dental services that can help you smile with confidence. 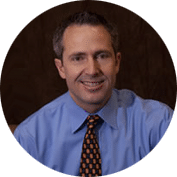 Dr. Bateman’s advanced training and years of experience give him the confidence to do almost everything in-house, including root canals, crowns and bridges, dental implants, dentures, and complex full mouth rehabilitation. Dr. Bateman’s philosophy is that he wants to help his patients reduce taking risks with their mouth by choosing treatment that has a good long term prognosis rather than spending time and hard earned money with treatment that doesn’t last. Dr. Bateman uses state of the art implant treatment planning using cone beam CT scans so he can provide accurate, and well planned surgical placement of your dental implant. Dr. Bateman provides a variety of sedation options such as IV and oral sedation for our apprehensive patients. Join our patients throughout the Mid-Willamette Valley who trust in us to provide their dental care. We will enhance your smile, and restore comfort and function in your mouth.